This economical easel is the smart choice for sketching and display. 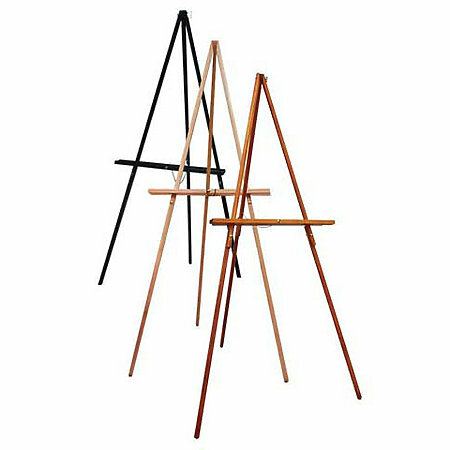 It is ideal for the artist who is looking for a light-weight, portable easel. Each easel is made of hand-sanded pine wood and features an adjustable tray, rubber feet and a leg chain for added stability. 64" tall. Assembly required; instructions included.